Is everything that happens in our families “our” business? Are we often getting involved in “other people’s” business? Tell me if I’m wrong, but is the notion that everything is our business a cause for step mom burnout? First, let’s remind ourselves of the things in our lives that we can control. The ex? No. Our children? No. Our stepchildren? No. Our spouses? No. The only thing we can control is ourselves. That’s a powerful tool. Do you know that if we focus on the thing we can change, we can turn the dynamics of our family anywhere we want them to go. Yes, it’s true. That image of the helpless step mom is a fable as strong as the fable of Cinderella. It’s not true. Here are 3 tips from Byron Katie to help you to stay in your own business. 1. Count, in five-minute intervals, how many times you are in someone else’s business mentally. 2. 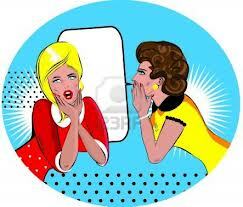 Notice when you give uninvited advice or offer your opinion about something (aloud or silently). ← Best Stepmother Advice! Ever Been Tattled On? Do You Live with a Tattletaler? As a frustrated stepfather looking to others for tips, I read this as mind my own business. I’m only the stepparent. Yet I’m partially financially responsible for braces, car, college, weddings, clothing, Etc. but yet when comes to raising them… mind my own business. This is a tread lightly article. We have different views on how the kids need to be raised and it can be frustrating. I agree with you. It is not reasonable to expect the step to be responsible financially, logistically, etc. And then say mind your own business in everything else. Life and relationships are complicated and it takes a lot of sacrifice and giving on all sides. Which I must say is very rare in most step situations. I hope this thread is still active. I’m trying so hard not to say anything about my deadbeat stepson who just graduated from college (paid in full by us) who is not motivated to find a job and start his life out of the nest. It is putting a tremendous strain on our marriage. Anybody been there? I have been silent through private school, college, and expected the kid to get out on his own, not increase his video scores in the basement. Help! Completely disagree. It is my business to be involved with the schedule as I am the one who plans the weekends activities for not only my step kids, but my own kids. If I took this advice my husband and his kids and myself and my kids would live two completely different, seperate lives. If it came to that then why be married? I married my husband knowing we would blend our families. What I didn’t know is that even on HIS weekends when we have had a big camping trip planned for the whole family that he would have no backbone and allow his ex to ruin all of our plans with a 2 day notice. This is my business! And this happens all of the time! It’s okay for ME to go in debt to make sure his daughter goes on a once in a life time trip, but it’s not my business to know if I can plan a family weekend? This woman controls every thing in my life, from weekends to my husband’s moods. She has for almost 6 years. My kids have missed out on fun adventures because of this. Well I am at the end of my rope because I am tired of not having a say and I’m on the verge of divorce. My kids are growing up way too fast and they shouldn’t miss out on good times because of the other kids and their parents. Your situation sounds very similar to mine. My husband’s ex indirectly controls everything in my house/life and has for the last 6+ years. Even worse is that my 16 year old stepdaughter is just as manipulative and does her mother’s bidding against me behind my back, which I recently found out about. I have 2 step-daughters, 16 and 14. I have my own daughter who is 23 so there’s never been a blending of my daughter and his living together, so I am the odd person out. Would love to correspond with you some more via email if you like. I feel like I am going crazy.